Direct Thermal – thermal paper labels for short term use, very limited resistance to marking or smudging and contact should be avoided with moisture, oil and fats. 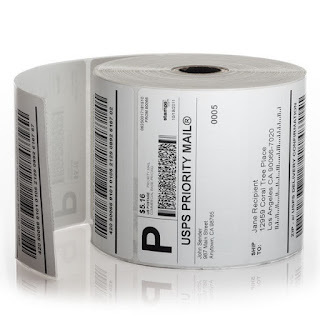 These are ideal for shipping labels due to their cheap pricing. Top coated direct thermal – offers a protective surface coat on one side ensuring the labels are durable against marking, resist fading in sunlight and are smudge-proof, solvent and grease resistant, a cheaper alternative than thermal transfer printing. Permanent provides good adhesion to all normal surfaces. Freezer is particularly suitable for cold-storage / sub zero temperatures. Removable offers good tack combined with excellent removability from most surfaces.